This film in my mind doesn’t mark a renaissance for Woody Allen. I never declared him creatively dead so he had nothing to rebirth from necessarily. Each trip into an Allen film is an uneasy balance for viewers. We want “old, funny” Woody in a new way but those films of which we think are nearly, if not more than, 40 years old at this point. Things have changed and so has Woody. He always does, that’s the thing. So while this hearkens back to some of his more inventive works and comments openly on a man caught in the past; he’s also playing with new techniques in a new city. Allen has always been unafraid but he’s in a full on experimental mode. He’s not just playing with new techniques, he’s playing with house money, and after all he’s done, why shouldn’t he? You may not like some of his films but any director who always gives you cause to discuss his work, perhaps even heatedly, is worth noting. In the previous list section there I discuss Bereavement which is likely my favorite horror film since the release of Frailty. This is a film I have not yet seen a second time so whether I like it more than such-and-such is difficult to say but what I can say is what class I believe it’s in and that’s the likes of Love Actually, French Kiss and maybe, maybe When Harry Met Sally… It’s equal parts funny and insightful, it’s all heartfelt and it weaves love plots deftly when most would be clunky. Too many missed this film, see it now. This is the kind of film that you hope and pray will stick in people’s minds as the year goes on as it deserves to land on lists of this type regardless of release date. I’m glad to see it along with some of the performances have been recognized. Win Win in a lot of ways flies in the face of conventions of escalating incidents, constantly raising stakes and climax. Not to say it doesn’t have these things but it plays them differently. It deals in reality and subtext. It has palpable drama and humor but doesn’t always feel the need to remind you of it but you feel it, always. To see how I feel this film qualifies as a horror film please see my Horror Film list (to be posted). 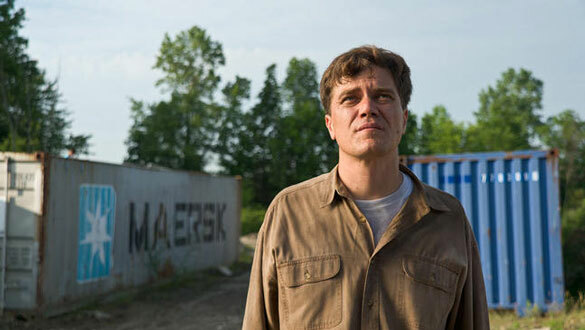 Take Shelter is a great film. In a few regards it’s the best kind. It features a powerhouse performance by Michael Shannon one that needs to be as great as it is in order to drive the story. If you believe him as an actor there’s a chance you believe maybe what he sees is in fact real and not delusion despite evidence to the contrary. If you believe him, or at least that he believes it, you fear for him and for his family and not just by proxy either. Another way in which this film is great is that it can be interpreted in a few ways and regardless of which path you choose as your own its great either way, the view is just a little bit different on that road is all. Were I one for quotas I may have pre-designated this year as one which would need to have a superhero film representative. However, I didn’t hold my breath for any of them and came away blown away by this one. The one most near and dear to my heart that I needed to succeed to continue to have faith, or optimism, in those with powers on the big screen. 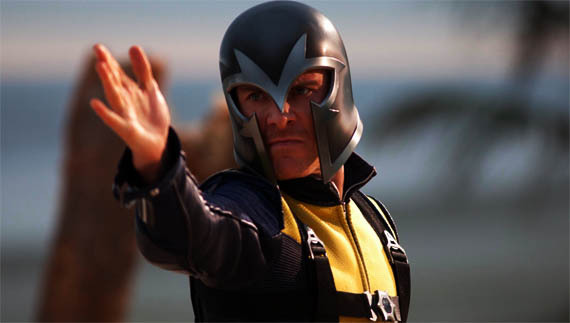 I discussed much of what love about this film in my review so suffice it to say that X-Men clearly did not get here because I needed a superhero film and conversely it’s not a slight that it ends up at number 11. Precisely the reason I started to make lists to accompany my awards is because it would allow me to echo or restate my affections for certain film regardless of how they fall down the ladder when separated by an iota or two from one another. 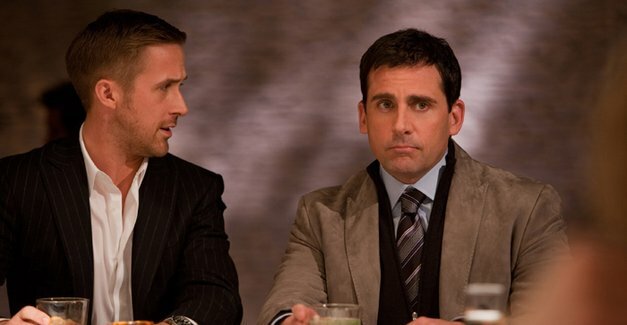 Crazy, Stupid, Love is for lack of a better word a film that isn’t receiving a lot of love but more important than that it is a film that breaks free of a few molds, works on a few levels and does so exceedingly well. It’s funny, heartfelt, dramatic and a truthful family story. It has pretty real and rounded characters that we meet in isolation and learn about more so when they interact. Now I know that many of you are asking “Hey, isn’t this a RomCom and therefore sucky?” The answers to those questions are it’s not that easy and most definitely not. The problem with most romantic comedies is not just the formulaic nature but the lack of dimension, which they have. They too often tend to be all about the relationship and the obstacles two people face in trying to be with one another and reach that ultimate pinnacle. What separates a film like this is first it’s about its characters’ struggles and not a relationship but in each serious relationship it builds it does things a bit unconventionally and unexpectedly. The main relationship is a marriage of 20+ years that is falling apart, which is not your usual recipe for one of these films. Similarly, the secondary relationships don’t follow the typical patterns. There’s also a lack of schmaltz, contrivance and other kinds of BS you’re usually saddled with in a film of this kind. I’d call this film the best of its kind since Love, Actually (In part because few make me want to see them and few are any good) but what this film does better than Love, Actually is it doesn’t need the pretense to tell several kinds of love stories, they’re all intertwined in much more organic way. I’m not sure it’s better than that but if it is we might be looking at perhaps going all the way back to French Kiss for something as good. I could go on for quite a bit about the performances in this film, however, I will attempt to reach some semblance of balance. First, there’s Steve Carell, which brings to mind another apt comparison for this film is that this is kind of like what Dan in Real Life yearned to be, both in terms of his arc and performance but it just never got there. I’ve seen a lot of Steve Carell in the years since he left The Daily Show and this may just be his next great performance the only stronger being Little Miss Sunshine. Then, of course, you have his wonderful counterpart Julianne Moore, who is so consistently brilliant as of late it may be easy to overlook her contribution to this film. Ryan Gosling has no simple task in this film either. He has to be equally convincing as the can’t-miss-womanizer and also a guy who lets his guard down and falls for the one girl who can crack through the facade. Similarly, Emma Stone has a deceptively simple job; she has to bring her comedic chops and feminine wiles to the same part so she needs to be equal parts sarcastic and smart and lovable. Her persona is infectious but as Zookeeper proves your aura does not guarantee the elevation of a film. The third pairing features perhaps the most surprising turns. First, you have Jonah Bobo as Robbie. Bobo has been infrequently seen since his debut performance in Zathura. His character is refreshingly written in certain regards and very well interpreted. Bobo exudes an intellectual maturity and emotional naivete that are essential to this part. Conversely, Analeigh Tipton poignantly captures an essentially young girl with a woman’s desires and makes it a third strong combination. This is a film, as the genre-related discussion above implies, is also a comedy, if not primarily, and it most definitely delivers in terms of laughs. There are laughs to be had in this film and in good quantity. Since I viewed it it’s already proven rather quotable but also it packs a wallop in terms of dramatic emotional content. This balance along with a sizable portion of it being funny is what places it head-and-shoulders above most films of its kind. This makes the film quite moving as well as funny in the end. As if it was out to disprove many notions I typically find annoying this film also includes a twist which works to great effect and like a good one does it elevates the film and it’s helped by the fact that it’s not too close to the end and doesn’t have the whole film hinge on it. Crazy, Stupid, Love is an old kind of film done in a more modern way. It takes some 21st Century notions and mixes it in with tried and true storytelling techniques that are executed here better than you’ll find in most films regardless of genre. Typically, the amount of value you get out of you admission price is not a barometer I use but this film makes itself worth the price of admission in many ways. It’s well worth it.